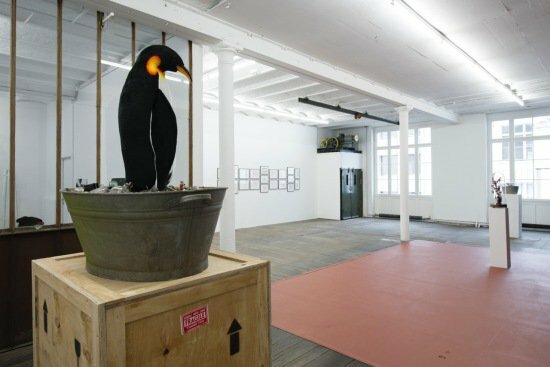 For his first solo show at Waldburger Wouters in Brussels, Mark Dion transformed the gallery space. 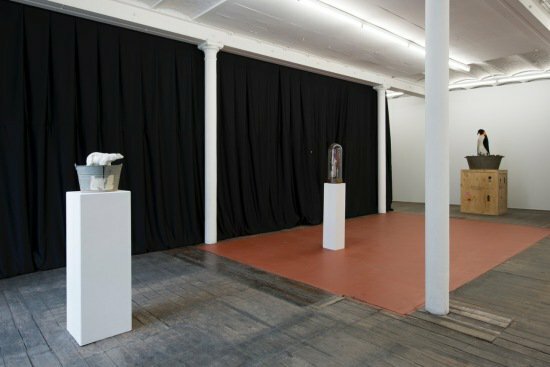 He created a new space within the gallery, separated by a black curtain. 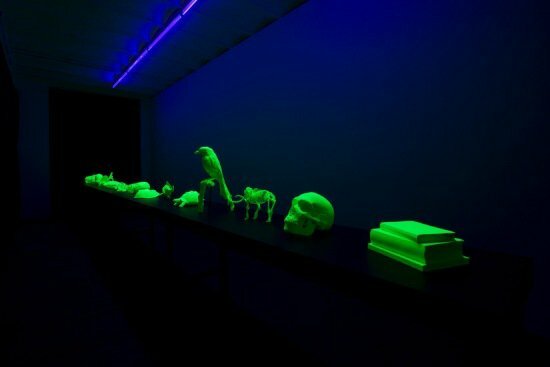 Behind the curtain, in a sort of a curiosity cabinet or wunderkammer, in darkness, 16 extraordinary objects are spread out on a long table and glow with fluorescent green light. The objects look very archaic and include, just to name some, Neanderthal skull, starfish, microscope, mammoth skeleton and the body of a fish. 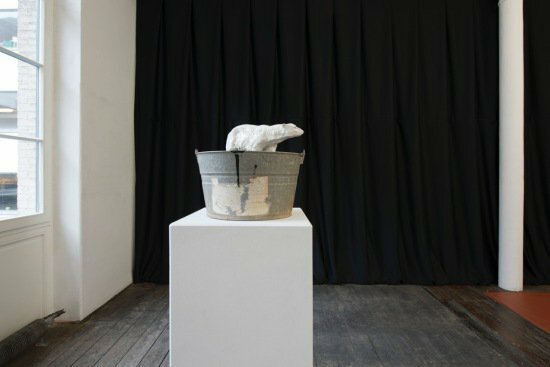 Outside this darkened area, in the front part of the gallery, Mark Dion installed two metal tubs and a glass dome. 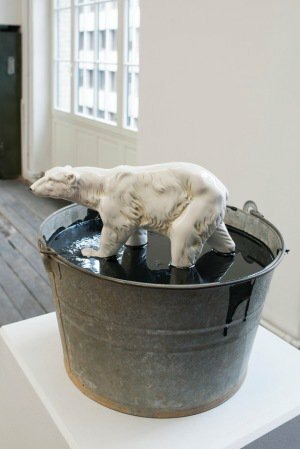 One of the metal tubs holds a penguin, the other one a polar bear. 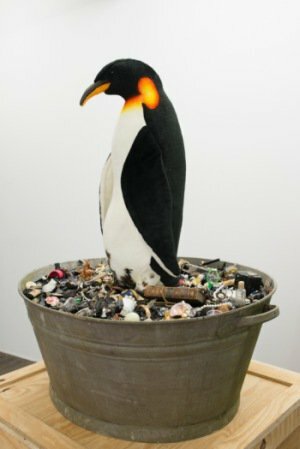 Both of these popular figures, one in ceramic and one plush, have been embedded in thick tar. In the glass dome stands a coral-like figure. 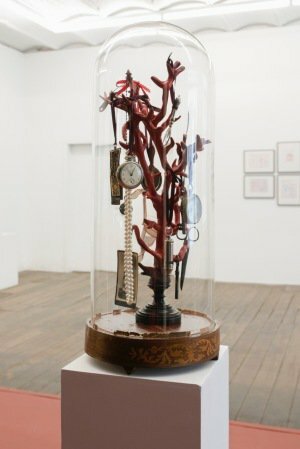 In the tubs - as well as in the glass dome - Mark Dion placed countless paraphernalia; old watches, pocket knives, compasses, old photographs and so on. Finally, just next to the entrance, more than a twenty drawings are mounted and display images mainly related to nature and the history of nature sciences.